Those in power were burnt by the alluring charms of the enchantress called power, simply because they lacked the qualities of self-control and self-restraint. The government usually acts as if it were the hegemonic and dominant political force of the country. The hegemony they are touting is not real. Citizens exhibit and reveal a different story in all their actions ahead of upcoming local, European Parliament, and national elections. The responses of those surveyed in a poll conducted for To Vima regarding the Athens mayoral election are indicative. SYRIZA-backed candidate in the Athens mayoral race Nasos Iliopoulos, a former deputy minister and a close associate of the PM, placed third in the poll, garnering the support only of about ten percent of voters. 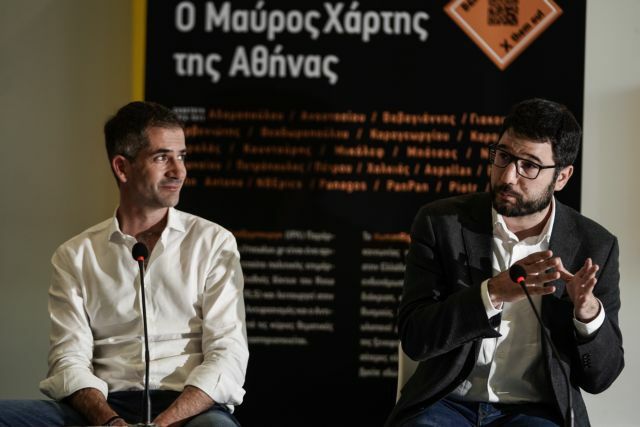 Though it is too soon to draw firm conclusions, it appears as if SYRIZA’s candidate may not even make it into the second round with New Democracy-rooted Kostas Bakoyannis, who is currently the favourite. 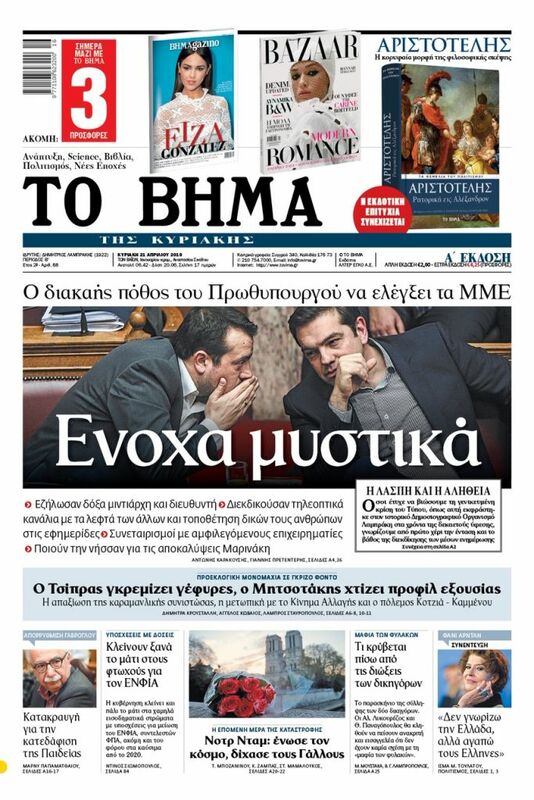 SYRIZA’s problems are not restricted to Athens. Most pollsters say the ruling party’s numbers in local government races nationwide are problematic. The government’s candidates lack momentum and support in the prefecture of Attica, in Thessaloniki, and in other cities. The candidates of the Movement for Change and of the centre-left which Mr. Tsipras is courting are in a much better position. As time passes, the general consensus is that government-backed candidates will be trounced and in most cases will not make it into the second round. Some attribute this to the particularities of local elections and especially to the fact that during its years in power the government did not manage to penetrate and gain influence in municipalities and local societies. Yet that does not justify the contradiction between SYRIZA’s much-touted hegemony and the party’s true, limited contact and relationship with voters. As many excuses as the government’s propaganda machine may devise, one must still wonder why voters do not find Mr. Tsipras’ candidates attractive or even interesting. By all appearances, citizens either do not approve of incumbents’ records, as in the case of the Attica Prefecture, or they simply do not trust the supposed renewal that certain candidates picked by the PM are supposed to bring. One can safely assume that the stance of citizens reveals a more general rejection that transcends and disputes SYRIZA’s supposedly hegemonic role in Greek politics. Hence, as time passed the perceived hegemony was either lost or maintained as a deception to fuel ungrounded plans. What is certain is that the party that seemed hegemonic and strong in 2014 and 2015 lost that image during its unproductive and problematic term in office. After governing for nearly five years, the anti-bailout memorandum impetus was exhausted. The Left’s moral advantage was undermined from within by a host of actions and choices. Most importantly, the government’s ability to effectively handle the country’s affairs was tested. Above all, they did not manage to come up with a proposal with a vision for future growth, and so they no longer stirred enthusiasm or emotion in the Greek people. As a result there are more and more voters who regret and feel guilty about having voted for SYRIZA. In short, those in power were burnt by the alluring charms of the enchantress called power, simply because they lacked the qualities of self-control and self-restraint.